Uber meets Wall Street – with a hint of Tinder, Cinch democratizes investment, allowing anyone with a phone and as little as a few pennies to play The Street. 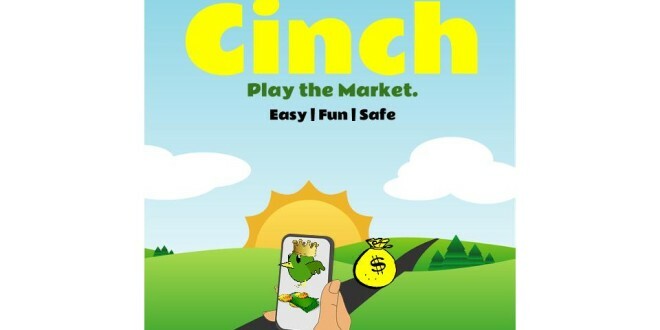 Poised to be the most financially disruptive app in history, Cinch aims to let anyone make money – and as much as they want. Did you know that Wall Street profits are the highest in history? Yet the average person will never directly see any of this money. Cinch’s goal is to transform Wall Street, allowing the average person to Play with Pennies (or more), investing not in stocks – but in people. With our powerful social network, and stockbroker Leaderboard, you can see what others are making – and pick who you want to make your money. Most importantly, it’s easy. In fact, you could say it’s a Cinch. What city is your Project based out of? It’s a unique because not only has nobody tried to do the same thing we are doing, but it has immense profit potential – reaping actual profits from real-world monetary transactions, something that can’t be said about so many other apps. We are motivated, committed, and hungry – a powerful mix. We also have varied experiences – I’m not only a Computer Science major, but I also have extensive sales and marketing experience. We aim to synergize our talents into creating a powerful, and successful product.